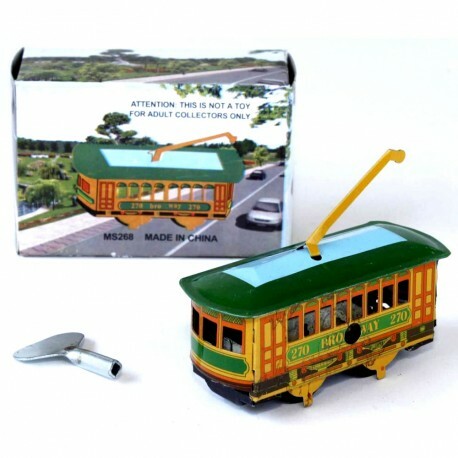 Clockwork Tin Toy Cable Car . Wind it up and watch it move along. 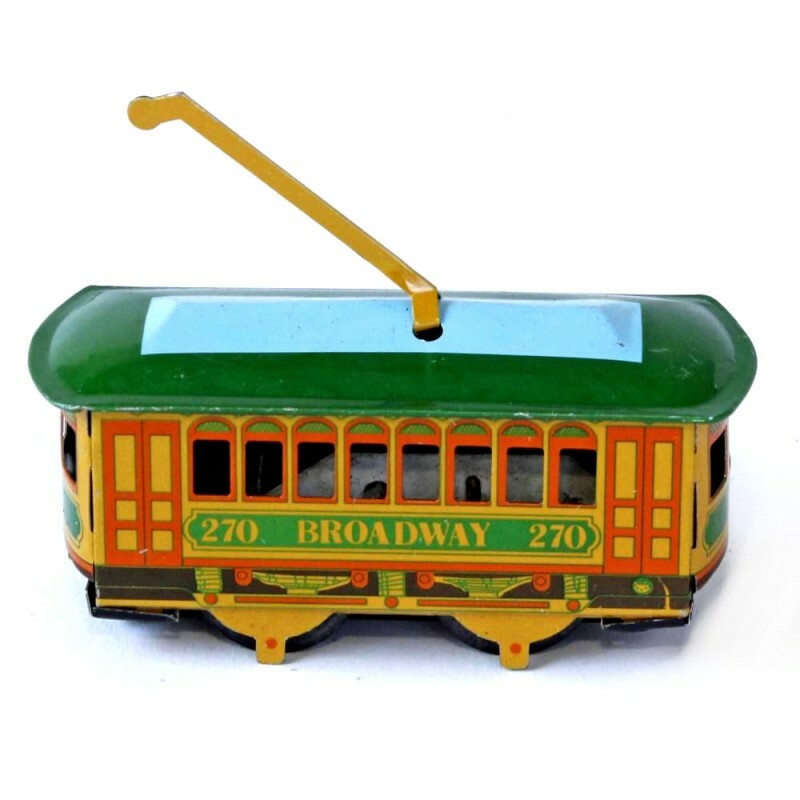 Orange and green, 270 Broadway tram car. Includes plain box and key. Very nice graphic detail. Made in China, 9cm.